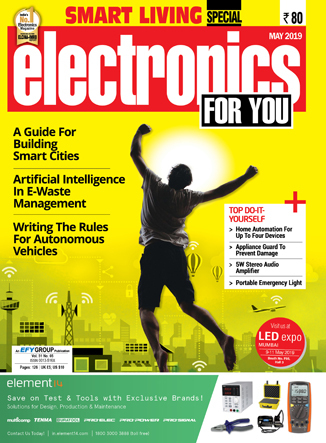 Electronics For You (EFY) is in regular publication since 1969 for the electronics fraternity. It reaches out to industry professionals, design engineers, businessmen and hobbyists. In publication since January 1969,EFY focuses on technology updates and innovations,academia that matter to this community. The country's largest selling technical publication,EFY enjoys a readership base through its print and digital(ezine) versions. It's the preferred and most referred publication in the very wide electronics industry. With continued patronage from its readers, it has grown to become South Asia's No.1 Electronics Magazine. Open Source For You (OSFY) is a complete magazine on open source, and is today a big hit with those who love FOSS (Free and Open Source Software). OSFY carries tech articles on Linux and open source for newbies, administrators, developers and fans of open source. Its main objective, however, is to help organisations enhance their Return-on-Investment (RoI) by deploying Linux or open source solutions. Accompanied by a free CD, which carries source code, white papers, software tools, Linux distributions, and even games, the magazine is well accepted by the community it represents. 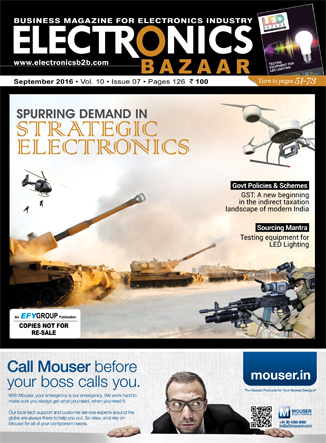 Electronics Bazaar (EB) is the country's first sourcing magazine for India’s electronics industry. It aims to provide a B2B platform for buying and selling of electronic products in India and is a must read for those who want to keep themselves updated with all that's happening in the Indian electronics industry. EB covers current and future market trends, buying and selling opportunities, product launches, and innovations driving the Indian electronics industry. The magazine is a very important and authentic source of information for all seeking to enter or expand their business in the Indian electronics industry. © Copyright 2019 EFY Enterprises Pvt Ltd. All rights reserved. Sign up to the Electronics Engineers' Corner Newsletter to get interesting news and updates delivered straight to your inbox.